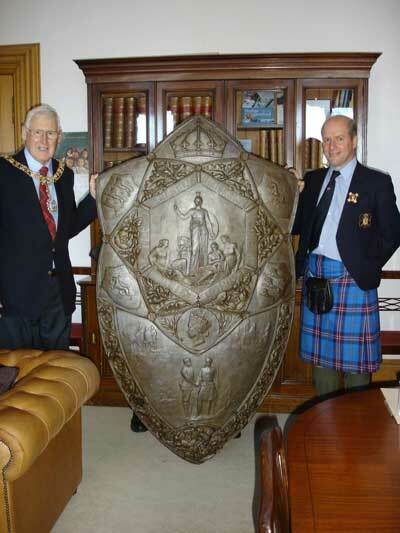 At Edinburgh City Chambers on Friday 10th September 2010, 11 members, witnessed by an English observer, handed over the Elcho Shield to Lord Provost George Grubb – the first time we have “returned” the shield to the City Chambers for display in 34 years. The main match of the day ran late thanks to a torrential rainstorm at around 3.30pm. The wet stuff hammered on the roof like machine gun fire for about thirty minutes and, quite wisely, the match rifle folk stopped for a breather between 1100 and 1200 yards. 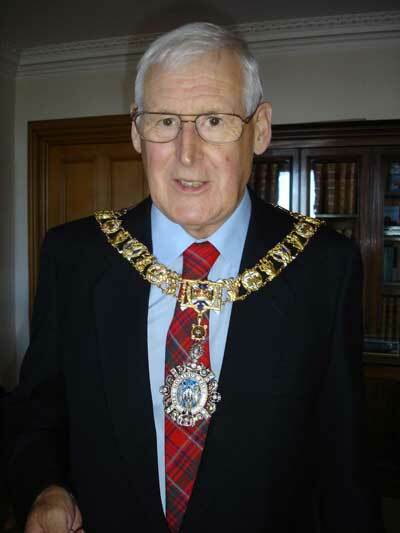 It was the Elcho Match, redolent of sensible breaks for lunch and cream teas, and laced with needle adversity. Scotland edged into an early lead at 1000 yards, pulling out eight points over England. They added another 10 at 1100 yards before the heavens opened. After the refreshing rain England attempted a fight back but failed: they lost one further point to the Celts who ran out winners by 19 points on a total of 1734v174. Observers do not agree that this was near to a record score. What they do say is that Scotland did achieve a record for the match in that not one single magpie appeared on their board. It was a matter for some very good humoured celebrations, aided by the realisation that they had retained, and not regained, the Shield.